There are a lot of places these days to find growing information. But this is the only learning platform that teaches you lean management PLUS top notch market growing advice. Lean is the world's most powerful production system. Combine that with down-to-earth teaching from master grower Ben Hartman, and you have a one-of-a kind learning tool. Here's what this course is about: how to earn higher profits with less work and less waste on a de-cluttered and beautiful farm. The Lean Farm School features over 100 video lessons showing how to earn a comfortable living on a farm in 35 hours / week. These are hands-on lessons with specifics on everything from site selection to restaurant deliveries with diagrams, maps and downloadable content like restaurant contact sheets. I appreciate the fact that Ben goes into great technical detail about his farming practices and offers a lot of practical advice for farmers that are starting their operation on a new property. Focused, specific, and practical. I look forward to implementing all of what we learned. I was not disappointed. Nice flow, great content. Wonderful to see these lean principles being put into practice from the start. Everything on this farm has intention. Ben gives me hope for being able to farm on a small scale and still have a life. Can't recommend enough. The amount of information I received from this course is amazing. Ben is a wonderful teacher, sharing all his knowledge from his years of farming. This course has shaved 10 years off my new farm startup. Very practical, down-to-earth information on farm start up and utilizing lean management practices to become more efficient and profitable. Seeing the lean principles in action is helpful to see how it is possible to farm and not be overworking all the time. Ben has set a bar in lean farming that is both impressive and inspiring. Ben is very knowledgable and his approach to teaching is informative and fun, making the lessons easy to listen and learn for anyone, beginner to experienced. As someone who has been working on a variety of farms over the last few years, this course helped me narrow down how I want to set up my own land in the next two years. This course is packed with helpful information that can be applied by growers at any stage of the process, whether you are just starting a farm, looking to expand operations, or simply wanting to tweak some processes or put up a greenhouse. It is especially helpful for those who are in their early stages of setting up a farm. As one who is currently setting up a farm, I benefitted significantly through Ben's advice. Detailed and thorough, he addressed all of my main questions (and provided answers to questions I did not even know I was supposed to have) as he moved through the lesson. The information on greenhouse design and propagation areas was particularly helpful for me. This course provides lots of information that will maximize your efforts and resources! Access to Ben Hartman. Ask him your questions with in-course question-and-answer discussion forums. Video lessons and condensed quick-review summary slides of the course content. Cutting-edge information. 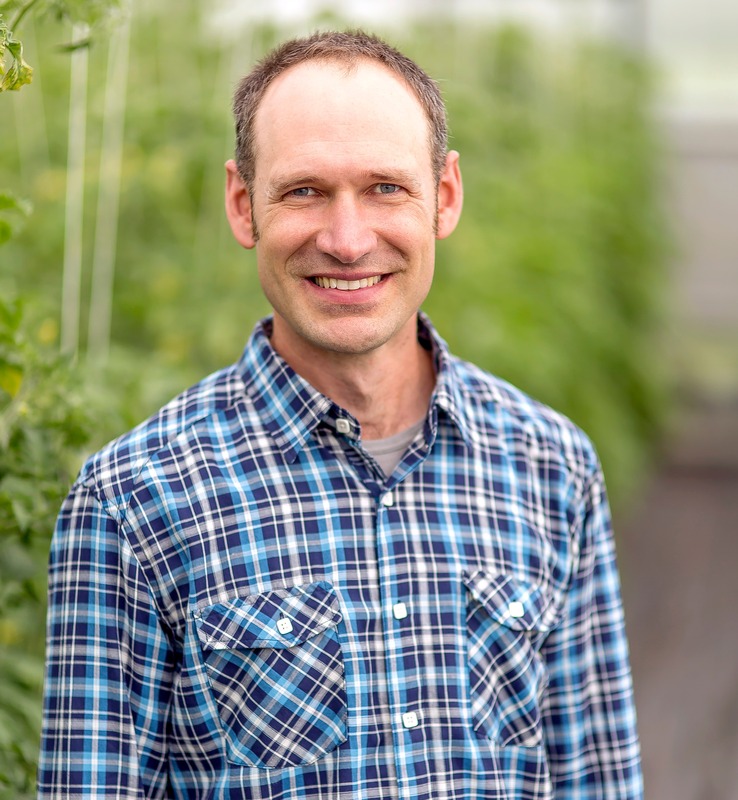 Clay Bottom Farm is one of the most respected farms in the nation, and Ben is the nation's leading expert on lean systems thinking applied to the farm. A community of learners. Discuss the course with fellow learners with built-in forums. Lifetime access. You can access to all of the lessons for as long as the course is online. Is there a time limit on the courses? No. When you sign up, you get full access as long as the course in online. Do I have to pay with a credit card. Yes. We are not set up to receive other forms of payment. What type of farms are the courses geared toward? 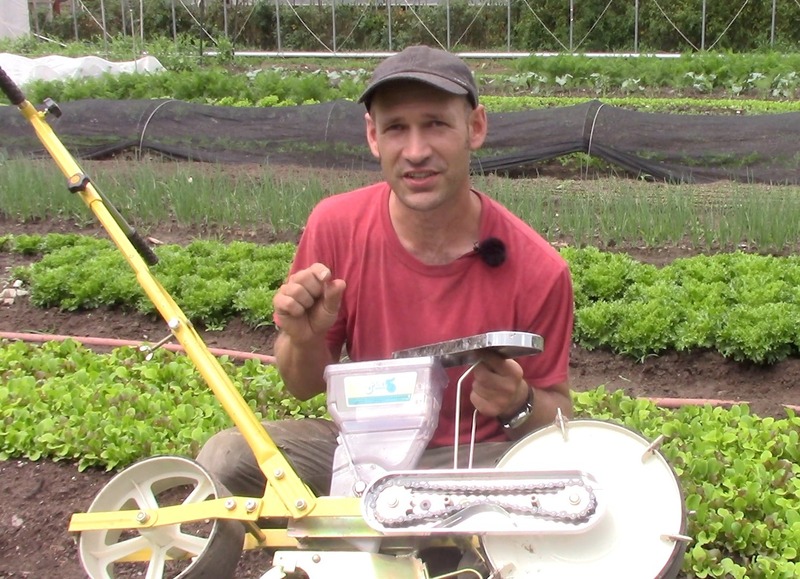 The course is specifically for small scale direct-market vegetable growers. Ben's passion is micro-scale high-profit farming, where a few people, on a few acres or less, can earn a comfortable living. Larger farms can benefit from what's in here, but the grower information is geared toward small producers. Do the lessons assume a tractor-based system? No. Ours is a compact farm, though we use technology--like compact tractors--to remove drudgery from our work to increase our efficiency. The course shows our tractor system in depth. However, the course also teaches how to use walk-behind equipment and lots of hand tools. We have respect for growers who choose to farm within technological limits and eschew tractors. Is this course for explorers, beginners, or experienced growers? All of the above. However, because the content is technical and comprehensive, serious beginners and experienced growers will benefit the most. If you are at the very beginning stages of exploring farming as a career, a better investment might be Ben's books, The Lean Farm and The Lean Farm Guide to Growing Vegetables. Do these courses replicate the books The Lean Farm and The Lean Farm Guide to Growing Vegetables? No. They go beyond the books with hours and hours of video footage that add flesh to the concepts and practices mentioned in the books. The books are not prerequisite to the course, but you will benefit by reading them alongside the course. Are the videos primarily lectures or demonstrations? They are a mix, though they focus heavily on in-the-field, real-time demonstrations. We filmed the videos DURING the growing season, not after, so you see us work and APPLY the ideas we talk about. Some concepts covered in the course--like heikunka (load-leveling) and kaizen (continuous improvement) are covered in lecture-style presentations, though always with plenty of accompanying photos and videos to show how we put the concepts to work on our farm. Is the course content ever updated? Yes! Since it was released, we have already updated the course several times. The world of market growing is changing fast, and this course will keep you up to date.